Items destined to be completely dismantled and recycled are placed into a large cardboard box. Residents have the convenience of getting rid of unwanted computers, televisions and other electronics. Local solid waste leaders are helping to keep it out of the landfill. Volunteers from local Optimist Clubs and the Knoxville Volunteer Emergency Rescue Squad, who provide most of the labor for the special event, are able to collect cash donations to further their missions. The Tampa, Florida-based Creative Recycling company provides its services in exchange for the chance to recoup some of the value from the materials it ships away. By keeping potentially hazardous materials such as the lead, cadmium and mercury found in electronics out of landfills or illegal dumps, the process helps protect the environment. 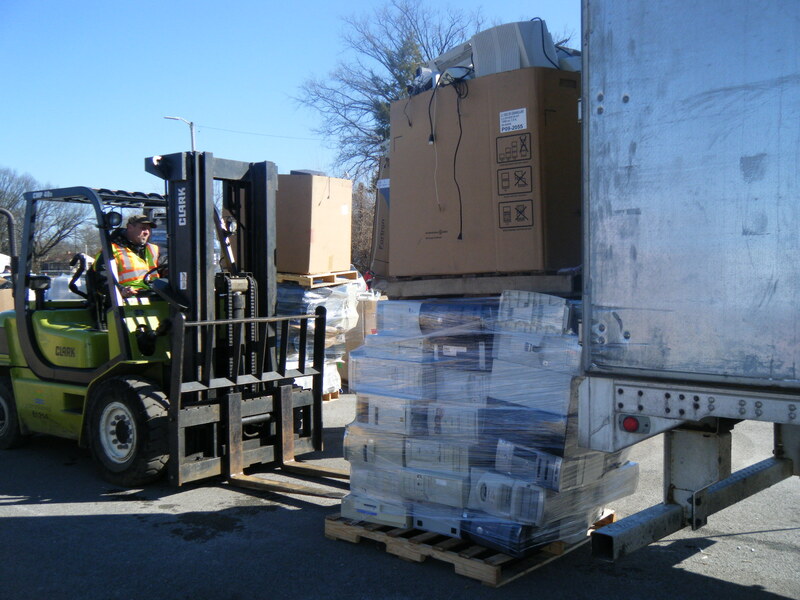 Some electronics are packaged more carefully than others before being loaded into trailers for shipment to the recycler. The minute the electronics are unloaded, a crew of people gets busy separating the various components into huge cardboard boxes or onto wooden pallets. 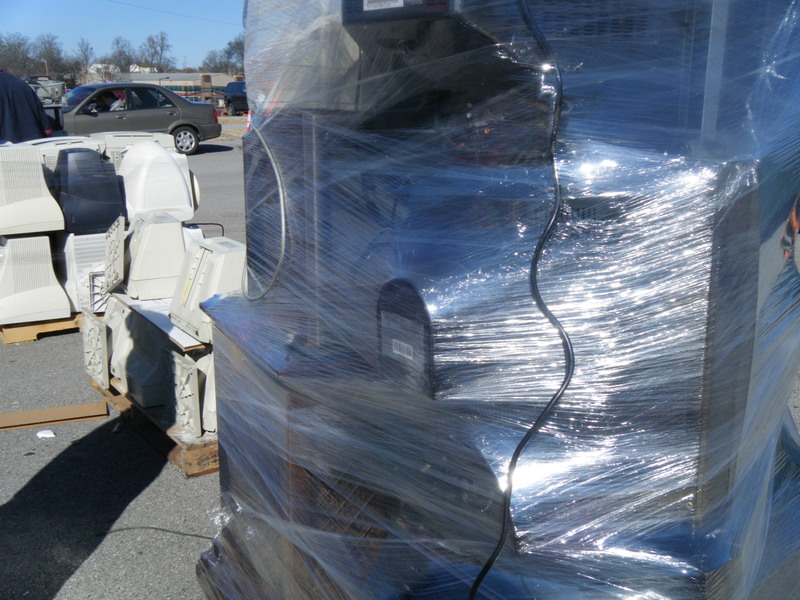 Dozens of computers at a time are stacked and shrinkwrapped for shipping, before a forklift loads them into a trailer. 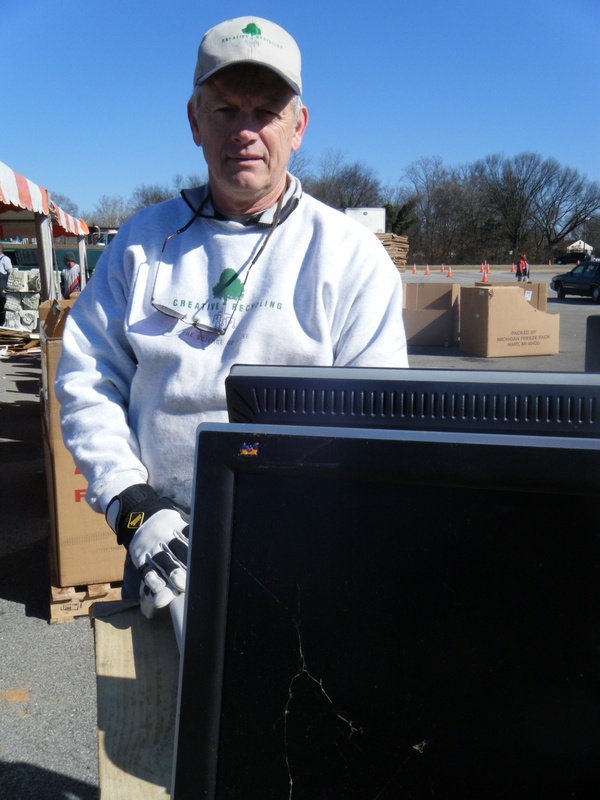 Creative Recycling Operations Manager Bill Diesselhorst keeps a careful eye out for newer flatscreen monitors that he can wrap individually to save for possible refurbishment. Diesselhorst oversees operations in Tennessee for the company that has numerous contracts with states and municipalities to help with their day to day electronic wastes. “We want to keep it out of landfills, we want to keep it out of places where it’s gonna do people harm.” Creative Recycling has a reputation for using safe methods of refurbishing or recycling the materials in its US facilities, and for not sending it overseas. Newer electronics will likely be repaired and sold. Many others will be completely broken down, with hazardous materials such as lead taken out and glass, metal and plastics being cleaned up for recycling. Hard drives are shredded to protect privacy. Creative Recycling Operations Manager Bill Diesselhorst gathers flatscreen monitors to be individually wrapped. Knoxville Solid Waste Project Manager John Homa says the city has collected more than 725 tons of computers and other electronics since it began programs like this in 2001. He says the city used to pay for all electronics disposal. The green economy has evolved until now, when private companies have to compete for the city’s recycling business. Municipalities still typically have to pay for disposal of bulky items like old televisions. But, the demand for old computers has grown until recyclers will usually take them for free. Homa says Knoxville does have a contract with Creative Recyclers for work throughout the year. However, the special weekend events hosted by community groups are worked by the company for free, with some support from the city. Televisions are among the bulkiest items accepted at the recycling event. This is the Optimists Club’s eighth year of organizing the recycling event. Optimist Club member and event organizer Brian Osgood points out how this effort makes a difference in what people will do with their garbage. “It all came about just being sure this didn’t get into the landfills at all.” The Optimists use any donations to further youth programs in the local communtiy. 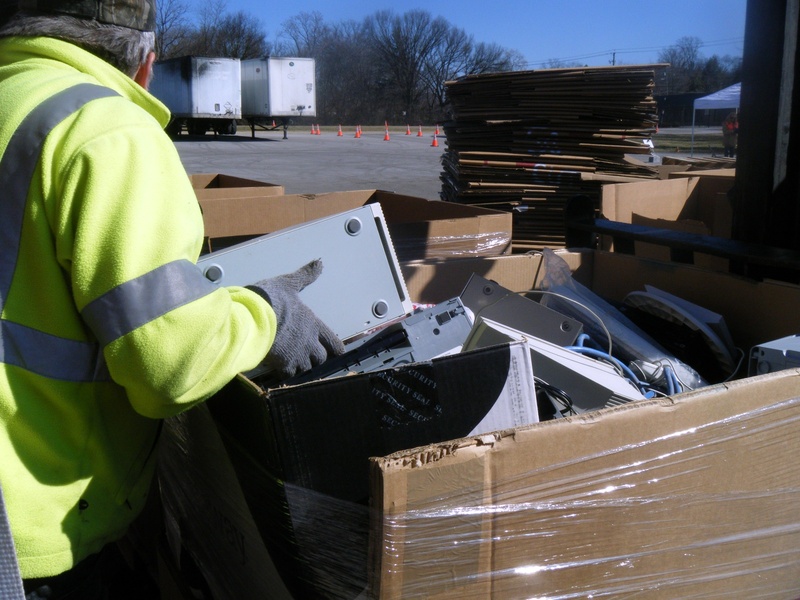 For more about electronics recycling, check with your local solid waste office. You can read more about Creative Recycling at this link.